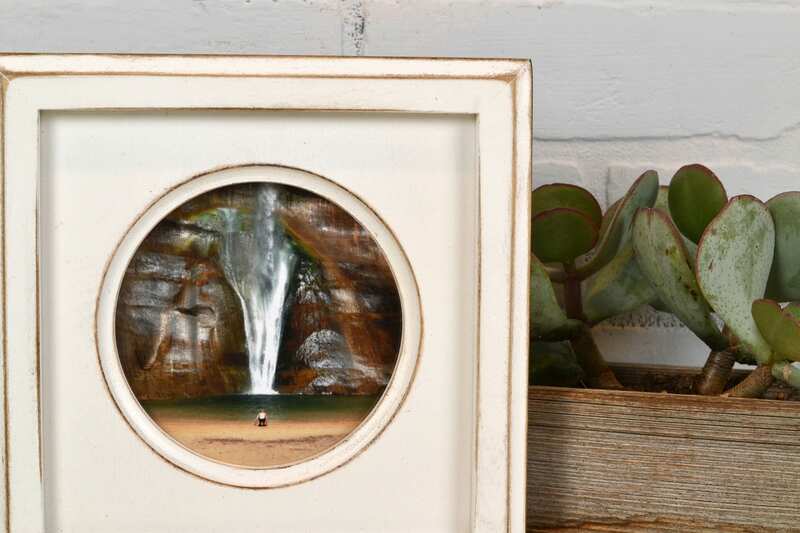 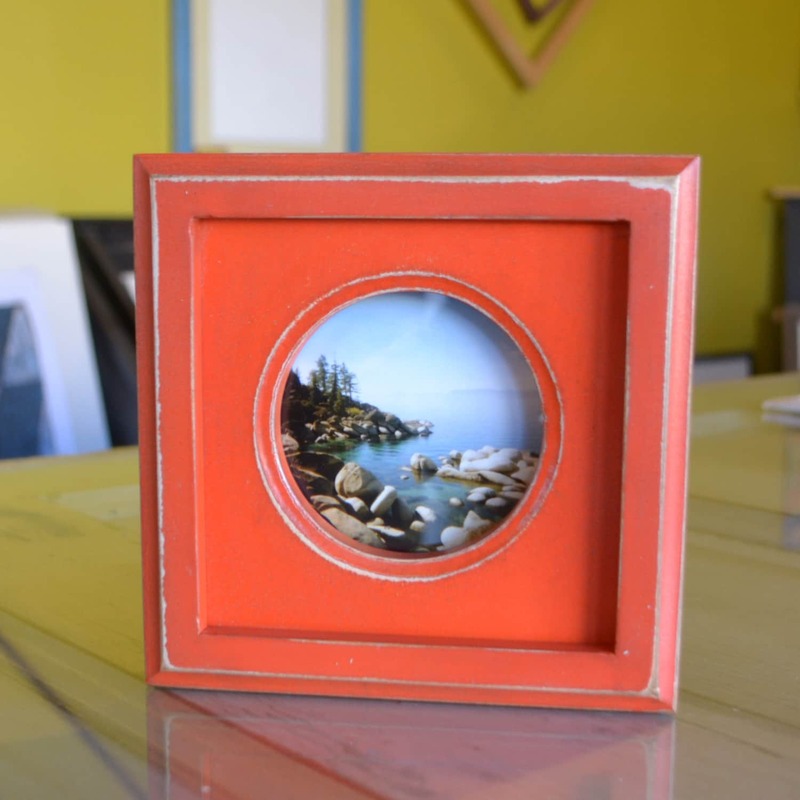 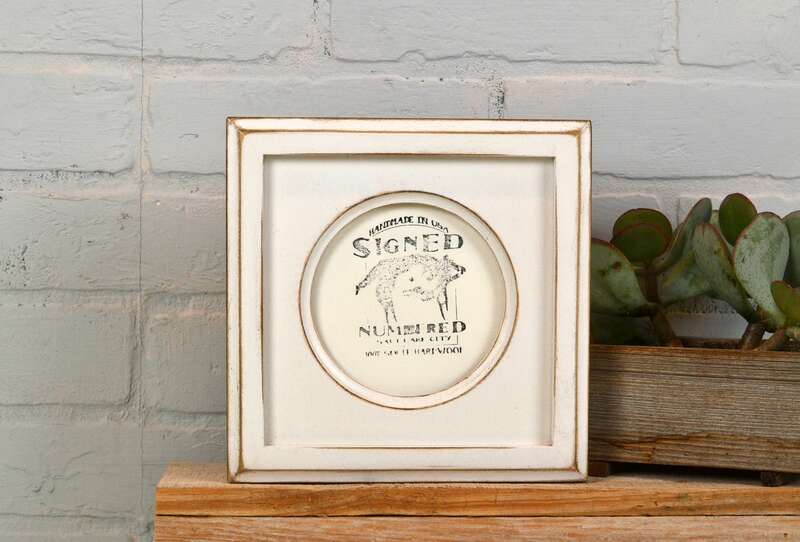 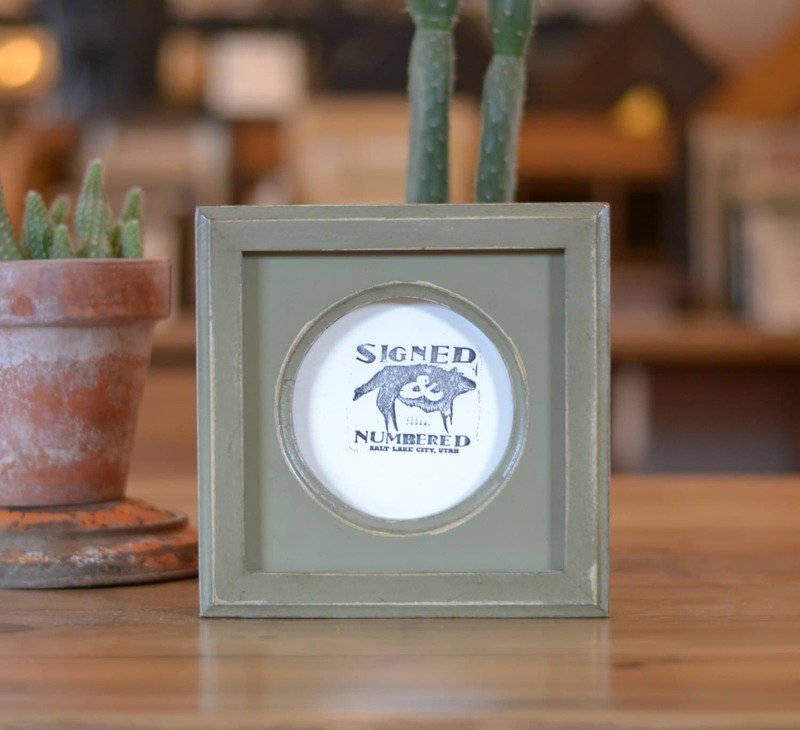 Circle Frame for 4 x 4 Photo or Art - A sweet, small frame for Instagram shots, a tiny landscape drawing or a portrait of a loved one. 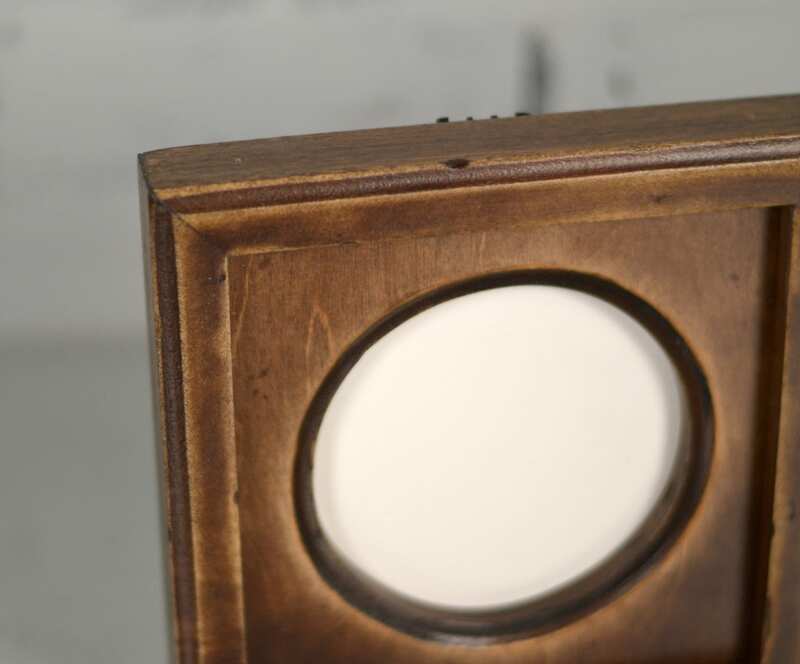 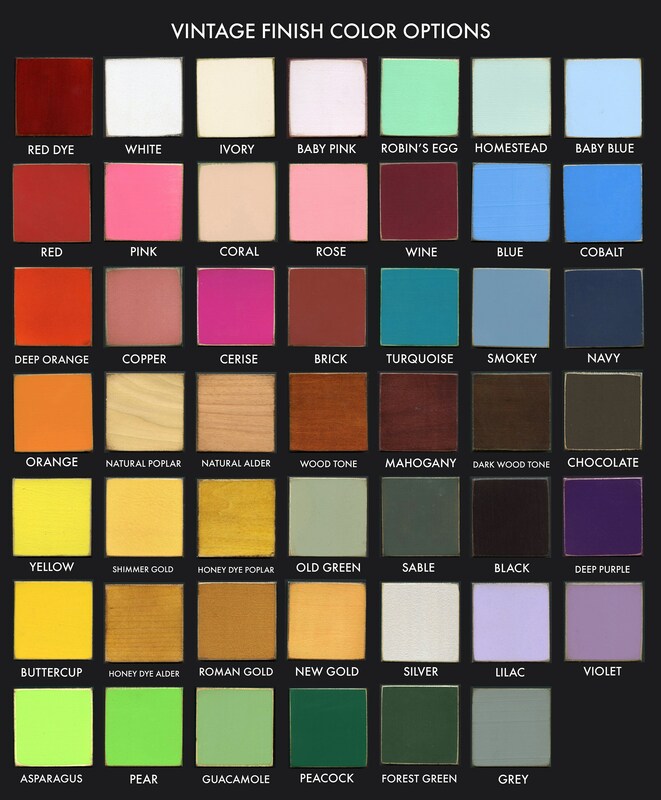 Made from solid wood in our Salt Lake City-based shop. 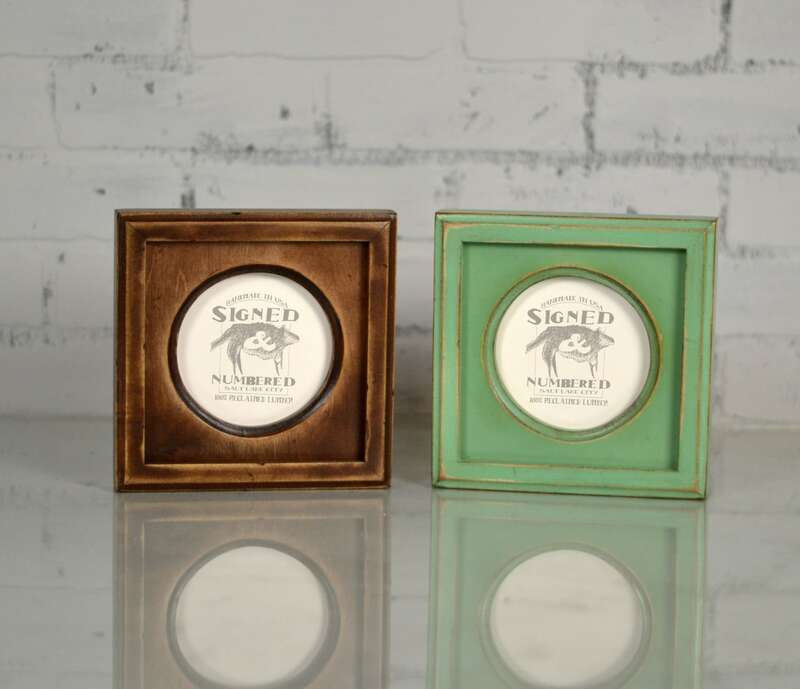 (frames pictured are in SUPER VINTAGE Dark Wood Tone, SUPER VINTAGE Robin's Egg, VINTAGE White, VINTAGE Old Green and VINTAGE Deep Orange).